Fillings are necessary whenever parts of a tooth have been destroyed by caries or injuries (traumas). The filling will restore the initial shape and function of the tooth and prevent from newly spreading caries. There are different kinds of materials to fill in gaps. 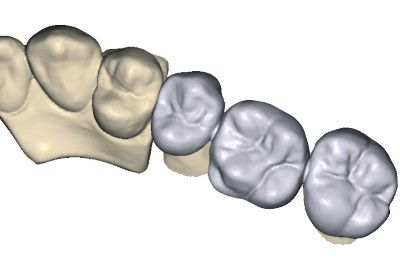 There are materials that are inserted directly into the gap to be filled and there are those (Inlays) that require a previous printing procedure in order to create the filling in a mold crafted in a dental laboratory.